Symptoms of parasites can arrive in humans after eating undercooked meat or touching pets. The most noticeable symptoms of candida are chronic inflammation, chronic fever, and food allergies. Microorganisms feeding on our bodies outnumber our cells by 10 to 1. A typical person carries as many as six pounds of microbes, all living in a delicate, symbiotic balance amongst each other. These microbes can cause either a beneficial or a harmful effect. Most assuredly, an imbalanced overgrowth of any one species can lead to serious symptoms of parasites in the intestines. Aside from “normal” microorganisms within the body, a person can be exposed to pathogenic parasites from the outside environment. Eating undercooked meat and touching pets are the two most common ways of contracting these types of parasites. Because parasitic illness is so common, it is important to learn how to recognize the symptoms of parasites in humans in order to treat them quickly. The most common intestinal parasites include candida, giardia, hookworms, tapeworms, and pinworms. We will discuss two of these parasites here. Hookworms are centimeter-sized worms that attach themselves to the interior walls of their hosts’ intestines. Once there, the worms grow and reproduce, stealing nutrients and preventing them from being absorbed into the cells of the host. Hookworm larva can penetrate the skin, and hookworm eggs can be ingested or inhaled. The most common sources of eggs and larva are animal feces and undercooked meat. Remember that pets lick and clean themselves with their tongues, which can cause hookworm larva and eggs to become attached to their fur. Petting, kissing, and smelling pets are common ways of contracting the parasite. The most noticeable symptoms of candida are chronic inflammation, chronic fever, and food allergies. These symptoms are due to candida’s ability to destroy the intestinal lining of its host. 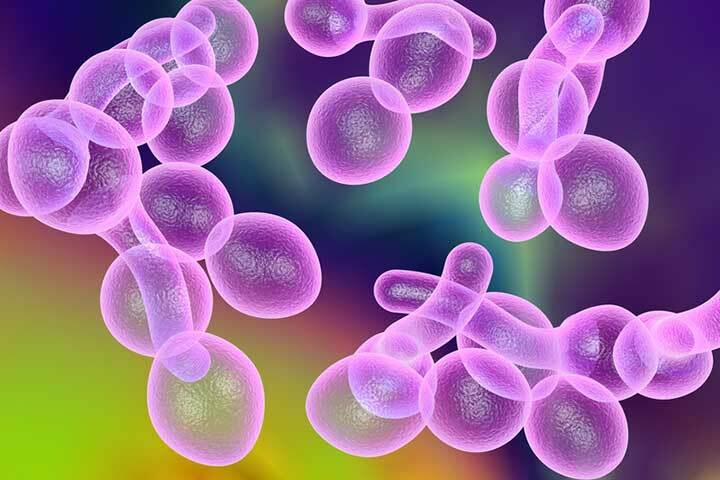 The fungus secretes alcohols and enzymes that destroy proteins and antibodies in host cells, allowing candida to enter the bloodstream and suppress the immune system. As candida thrives on simple sugars, withdrawal symptoms may be experienced if you stop eating sugary foods during a candida overgrowth. This occurs because the fungus absorbs sugar intake before it can reach your own cells. Body cells can then signal the brain that they require more sugar. As foods that are high in these refined sugars are universally bad for health, candida overgrowth can indirectly contribute to weight gain and other problems associated with a high sugar diet. In order to deal with worm infestations, you must remove yourself from the sources of their eggs and larva. The best way to do this is to stop consuming meat. Even well-cooked meat products can still contain worm cysts and eggs. Also ensure that you clean your pets frequently, and always wash your hands after touching them in any way. To remove the parasites that are already in your system, consume wormwood, clove, and black walnut. Turmeric, ginger, and garlic also help to create an intestinal environment that is unsuited for microbial growth. There are several homeopathic remedies for symptoms of parasites available online or at your local health food store that have a combination of these, or other, anti-parasite herbs. Be sure to follow the dosage instructions on the manufacturer’s label. Clin Microbiol Rev. Oct 2007; 20(4): 593–621. A.D.A.M. Medical Encyclopedia. August 24, 2011. Lancet Infect Dis. 2001 Sep;1(2):101-14. J Clin Microbiol. 2005 Jul;43(7):3059-65. Gut. Jul 2006; 55(7): 954–960. allergies, antibiotics, appetite, bacteria, bloating, blood pressure, blood pressure remedies, blood pressure symptoms, brain, candida yeast, chronic inflammation, diarrhea, diet, digestive, energy drinks, fatigued, fight high blood pressure, flu, food, food allergies, fungus, garlic, ginger, glucose, health, health food, high blood pressure, high blood pressure remedies, high blood pressure symptoms, home remedy, homeopathic, immune system, infection, inflammation, nutrients, oregano oil, oregano oil benefits, parasites in humans, probiotics, skin, sugar, supplements, symptoms of parasites in humans, turmeric, weight gain, western diet. To rid yourself of candida, especially if you have severe overgrowth, it takes a concentrated effort of both lifestyle and diet changes . I discovered I had candida last October after four years of absolute misery. No doctor could find out why I was so depressed and wrought with anxiety and suicidal tendencies. I had very minor stomach issues which proves that they aren’t always present if you have intestinal parasites. It’s taken me six months so far to combat the candida where I’m starting to feel human again, it doesn’t happen within just a few weeks. 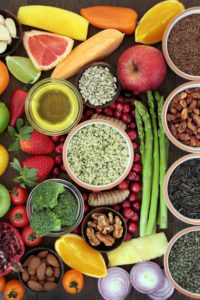 Avoid fiber in the foods you eat as well as any grains and processed sugars. Eat lots of meat broths you make yourself, it’s difficult but it must be done. Check out the gaps protocol. And above all, get a stool sample that checks for parasites especially candida from a reputable lab to confirm!!! You’re right; I’ve never seen or heard of an MD even momentarily considering candida or parasites to be fundamentally responsible for any problems – especially psychological ones. We know with certainty, however, that many parasites secrete chemicals that mimic hormones and neurotransmitters. Certain ones such as Toxoplasma (found in cats) can literally mind-control their hosts to an extent. Do not avoid fiber. Your digestive system uses the fiber to eliminate both the toxins from dead candida overgrowth by a chelation like process and to pass the die-off with your stools. Candida is averse to using fiber as food.